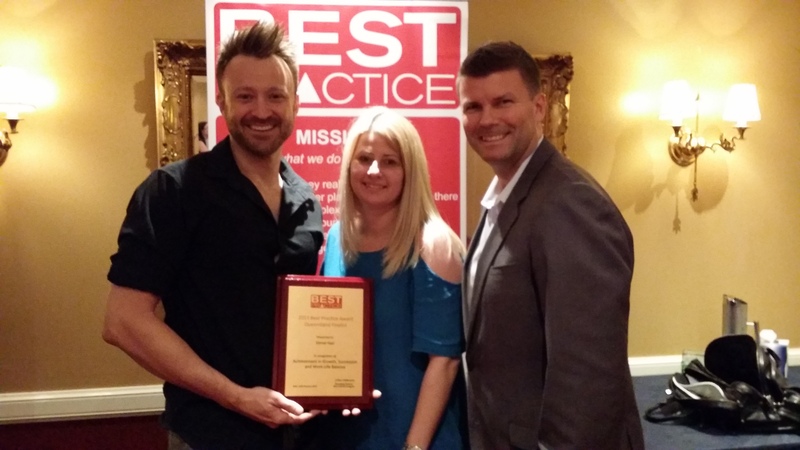 A local Brisbane business, Verve Hair has won a prestigious Small Business Award for their participation and results in the Best Practice Program in 2013. A National Awards Ceremony was held in Melbourne on January 16th this year. One of the only winners from, Brisbane Verve Hair were proud to accept the Award which was primarily for their progress towards achieving advancement in the three key areas of Business Growth, Succession Planning, and Work Life Balance. Verve Hair Managing Directors, Dabian Marning and Leigh welch said the award was extremely satisfying given the time and financial commitment during the past year to attend the program every month. The Best Practice Program is a national business education program for small business owners who want to turn their business into an investment so that their business works for them, rather than the owner working for the business. Founder, John Peterson has a Fortune 500 consulting background and will be running a Discovery Workshop for Business Owners on April 2nd at the Melbourne Parkview Hotel.